We are thrilled to announce a special new collaboration with Scholastic for World Read Aloud Day, celebrating the Harry Potter stories. World Read Aloud Day 2018 will take place on February 1 so that we can spread the pleasure of reading aloud alongside Harry Potter Book Night, when fans around the world celebrate J.K. Rowling's much-loved book series. 2018 will mark the 20th anniversary of the US publication of Harry Potter and the Sorcerer’s Stone, and we are so excited to celebrate the impact that Hogwarts and the Harry Potter stories continue to have on the way the whole world engages with reading. 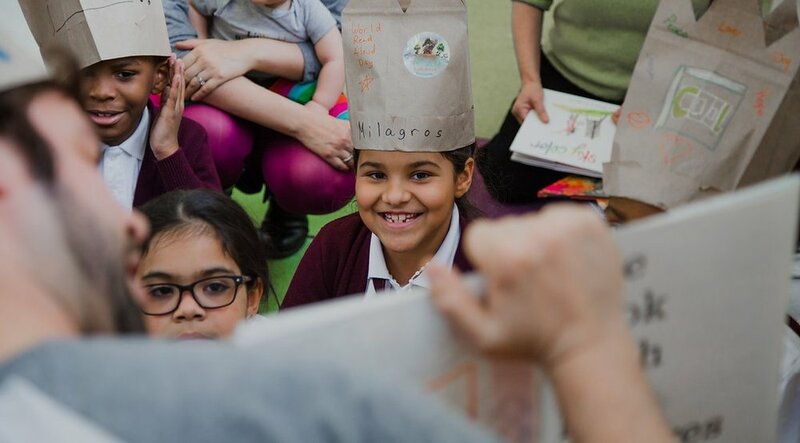 Over the past 20 years, classrooms and families have enjoyed reading Harry Potter aloud and have shared a special bond around this ever popular series. We'd love to hear from you. Contact us with any questions, concerns, or excitement!